is a community kitchen where delicious food is lovingly prepared by teams of volunteers and diverse members of the community come together as one to share in the feast. 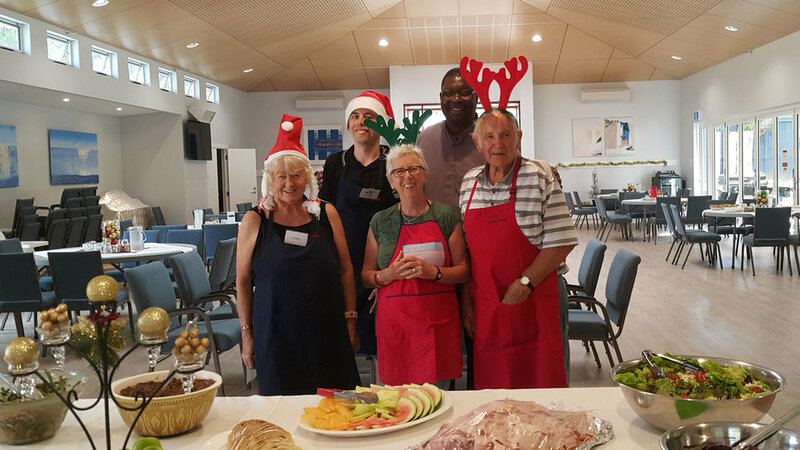 Manna and Mercy is a programme of the St George’s Community Care and welcomes applications to join in the preparation, serving and waitstaff teams. Our mission is to provide a nutritious meal to members of the community for a donation, remembering that it is not what we eat, but who we eat a meal with that makes a meal a feast. We include and welcome people around a common table and offer friendship. The meal is served every Tuesday from 5.00-6.15pm in the Family Centre. Uneaten food is packed and frozen for (Emergency Relief) ER distribution to needy families.